Home / Funko Funday / Funko Funday! 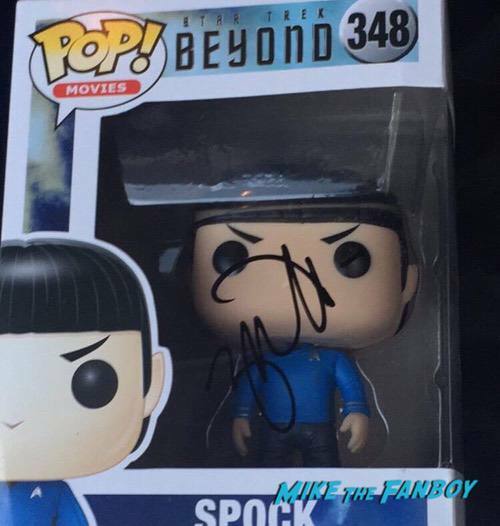 Jordan Lives Long and Prospers After Meeting Spock AKA Zachary Quinto! Autographs and More! Live Long and Proper the famous Spock quote!!!!!!! I had the pleasure of meeting Star Trek Reboot Actor Zach Quinto who is super rad and fan friendly!!!! He was in town getting an award for his acting career and his life-long achievements. The Star Trek Movie franchise was awesome and Spock is one of my favorite characters that Zach Quinto played! He was amazing. I never watched the Star Trek television series so, I guess I can say that I like the Star Trek movies better, with a good plot and action packed just like movies should be. What is your favorite Zach Quinto movie?? ?